There are a multitude of choices when choosing a projector including what technology is best, how bright should the projector be, what resolution is best suited for the application, what connectivity is needed and what type of light source is best. At present the two most popular technologies are DLP (Digital Light Processing) and LCD (Liquid Crystal Display). In general DLP projectors are suited for portable, economical applications, where as LCD is ideal for fixed, high brightness, large screen applications. Laser projectors are fast becoming a viable projection option. Laser projectors use DLP or LCD display technology but use a solid state laser light source rather than a traditional metal halide lamp. This type of light source allows for long periods of maintenance free usage. Some products claim over 20 000 hours. These kind of usage figures are getting close to flat panel displays. AVC has extensive experience installing projectors in a variety of applications from school classrooms to massive church auditoriums. AVC has been supplying projectors since the early 1990’s when Infocus projectors were first introduced to South Africa. We will discuss the intended use of the projector with you and advise on the best option within the given budget. AVC supplies projector accessories like projection screens, cabling required to connect your source to the projector and the mounting hardware required to mount the projector. We also offer installation services. Our experienced technical department will install the projector and screen correctly within the product specifications. 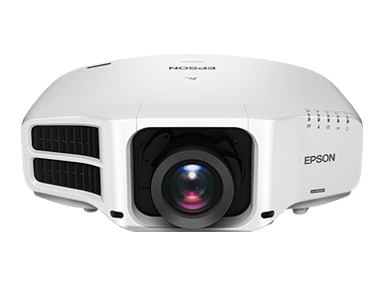 AVC supplies and supports all major brands of projectors including Epson, Optoma, Vivitek, Barco, NEC, Sony, Christie and more.